Thinkers from Plato to Piaget have acknowledged the central role of play in learning. Games and simulations are expressions of play, as they support playful interchanges, build communities and encourage collaboration. Increasingly, the engagement and motivation given by games, play and simulations is finding its way into our educational institutions: schools, colleges and universities and into training and development in companies across many sectors. With this increased use of games and simulations to support education and training, a range of academics, business leaders, researchers and learning practitioners are being challenged in a number of ways, not least how to adapt and deploy games and simulations effectively but also how to evaluate and measure successful outcomes. This book series aims to provide a forum for educators and industrialists to consider key issues such as: how to best design games for educational purposes? How to engage and motivate their learners and staff through immersive experiences? 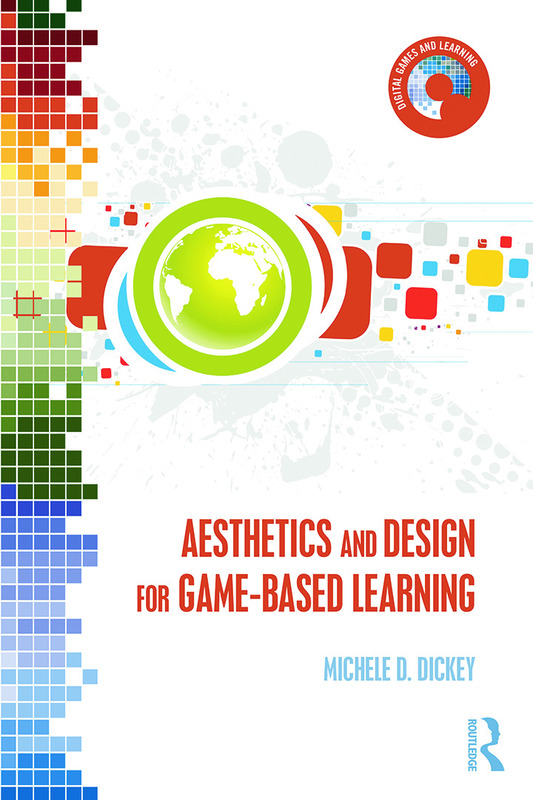 How can we adapt and learn from gamification or games approaches to design better outcomes for education and training? 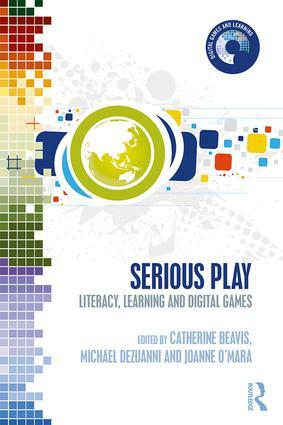 What are the key concepts for understanding how play and games work? Why is play such as effective pedagogic tool? What frameworks and tools are available to learning practitioners? 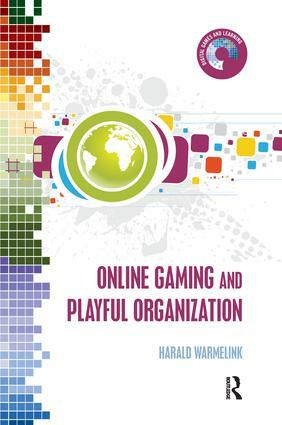 The book series has already attracted a range of authors who seek to share their knowledge and experiences with the wider education and training communities, including books on serious play that focus on how games can be used for literacy learning, online gaming and playful organization (which evaluates the impact of games on organization), aesthetics and design for games-based learning (which outlines how games can be most effectively designed), and digital games and learning (which provides a useful overview of the research and theory in the field). 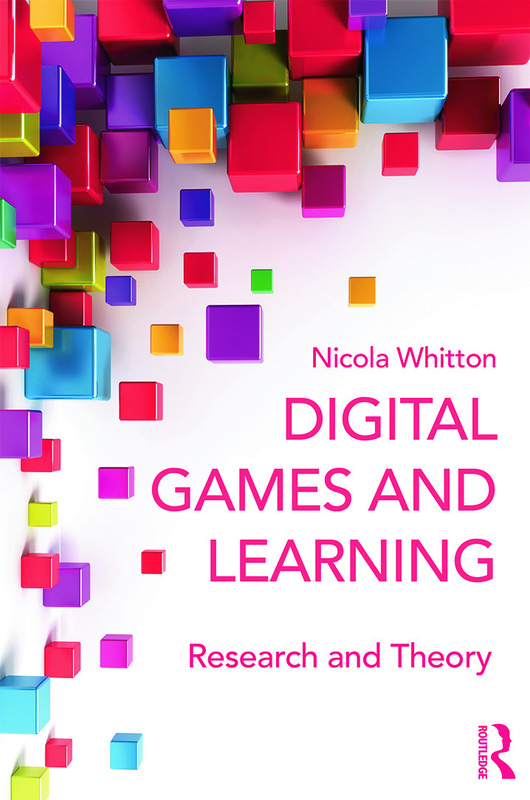 Our series will investigate the relation between more conventional ‘signature pedagogies’ and new approaches to learning engendered by digital games and simulations. Games and simulations are often highly social, but their social and cultural codes still require substantial research. One of the significant differences between conventional teaching and digital games and simulations is the amount of design work that is required upfront in order to plan the learning environment and facilitate learning within it. DGL will investigate the theory and practices of design in digital games and simulations. Digital games and simulations are useful learning environments for problem-solving heuristics. The extent to which this happens, for whom and under what conditions, will be a theme of our series. We encourage forms of action research (practice research, participatory action research, action science, etc) as well as the challenging of conventional approaches to cognitive science, to educational theory constructs and to the philosophy of game play. The series is an international resource for educationalists, educators, technologists and educational users. It brings together some of the best contemporary academic and practitioner commentators to tackle the dilemmas and opportunities in a challenging, informed and inquiring manner. If you think your work in the area of digital games and learning should be shared with a wider international audience, please contact the editors. Due to the cross- and inter- disciplinary nature of the area we welcome proposals from across the academy and industry. Books may be monographs, single or multi-authored, or edited collections. Sara de Freitas is an Honorary Fellow of Birkbeck, University of London, Principal Fellow of the Higher Education Academy and Fellow of the Royal Society of Arts. Over her career, she has worked as an educator, researcher and senior executive in four universities in Australia and the United Kingdom most recently as Pro Vice Chancellor at Murdoch University and Assistant Deputy Vice Chancellor at Curtin University, leading on cross-university curriculum change, blended learning and transnational education. Before working in Australia, Sara was Director of Research at Coventry University, UK, where she founded and developed the Serious Games Institute, bringing together commercial and academic partnerships to fuel regional economic growth. As Director or Research, she led on 56 projects attracting over £10 million in research income from European Regional and Framework funds and UK research councils, charitable organizations and industry, supporting the development of the education games industry and regional growth and development. Sara is a passionate advocate of pedagogy-driven approaches to leadership and has a special interest in online, blended, accelerated, game-based and active learning to enhance flexibility, retention and high-quality learning in different student cohorts. Her research findings are published in seven books and over 200 peer-reviewed journal articles, conference papers, book chapters and technical reports (over 6,000 citations). Her cross-disciplinary and cross-sectoral influence upon the academic domains of educational technology and higher education policy and leadership development has been fostered by sitting on over 60 programme committees and advisory groups, and undertaking over 120 international keynotes, presentations and public lectures in four continents. She has led significant international industry and academic clusters in ICT, manufacturing and digital games. Her most recent book, Education in Computer Generated Environments (2014) has been published in hardback by Routledge, in their Research in Education Series, outlining a vision for future learning in higher education which aligns policy and practice whilst focusing upon designing engaging learning experiences. She blogs on disruptive education at: https://saradefreitas.wordpress.com/, her books can be found at: https://www.amazon.co.uk/-/e/B072L5TMH6 and full list of publications at: https://scholar.google.co.uk/citations?user=d1iK6I0AAAAJ. Paul Maharg is Distinguished Professor of Practice – Legal Education at Osgoode Hall Law School, York University, Toronto, and part-time Professor of Law at Nottingham Law School. Prior to this he was Professor of Law in The Australian National University College of Law, Canberra, where he was Director of the PEARL centre (Profession, Education and Regulation in Law). He is now an Honorary Professor there. Earlier, he was a Professor of Legal Education at Northumbria University School of Law; and Professor of Law in the Glasgow Graduate School (GGSL), University of Strathclyde. At Strathclyde he was Co-Director of Legal Practice Courses, and Director of the innovative Learning Technologies Development Unit at the GGSL, as well as Director of the two-year, JISC/UKCLE-funded project, SIMPLE (SIMulated Professional Learning Environment – http://simplecommunity.org) and consultant to the JISC/HEA Simshare project. His authored and edited books include Transforming Legal Education: Learning and Teaching the Law in the Early Twenty-first Century (2007, Routledge), Digital Games and Learning (2011, Continuum Publishers), Affect and Legal Education: The Impact of Emotion on Learning and Teaching the Law (2011, Routledge), and The Arts and the Legal Academy: Beyond Text in Legal Education (2012, Routledge). As well as co-editing Digital Games and Learning, he co-edits Emerging Legal Education (Routledge Publishing), and has published widely in the fields of legal education and professional learning design. His specialisms include international and interdisciplinary educational design, and the use of technology-enhanced learning at all levels of legal education. Since 2002 Paul has worked extensively with regulators internationally on a range of legal educational projects, including the SRA in England, the Law Society of Ireland, the Law Admission Board in Victoria, Australia, the Law Society of Hong Kong, the Law Society of Scotland and the Law Society of Upper Canada. He was a member of the Legal Education & Training Review Group (LETR – http://letr.org.uk) in England and Wales, which reported to front-line regulators in legal education. He was appointed a Principal Fellow of the Higher Education Academy (2015), a National Teaching Fellow (2011), HEA Global Ambassador (2017), and a Fellow of the RSA (2009). He holds Visiting Professorships at Hong Kong University Faculty of Law and Chinese University of Hong Kong, and was 2014 Distinguished Professor of Teaching and Learning at Denver University Law School. He blogs at http://paulmaharg.com, where a full CV can be found on the Bio tab. Email: pmaharg@osgoode.yorku.ca.